Featured today is a natural unheated Ceylon blue sapphire of 3.10 carats set in sterling silver as a Saturn talisman ring. 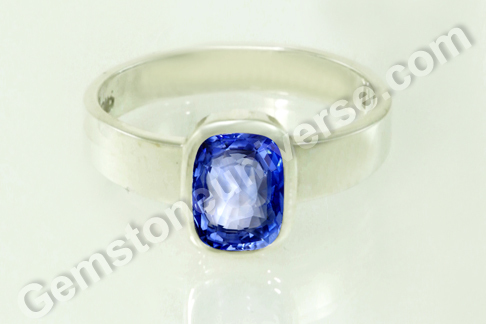 The cushion cut treatment free Ceylon blue sapphire has a silky cornflower blue color excellent clarity and superb lustre. It’s a gem that has the WOW factor. Natural blue sapphire or the neelam gemstone is the gemstone of Lord Saturn/ Shani and is used in a talisman to harness the planetary energies of this powerful planet. It is the jyotish rashi ratna for the zodiac signs of Capricorn (makar) and Aquarius (Kumbha) – the signs ruled by Saturn. 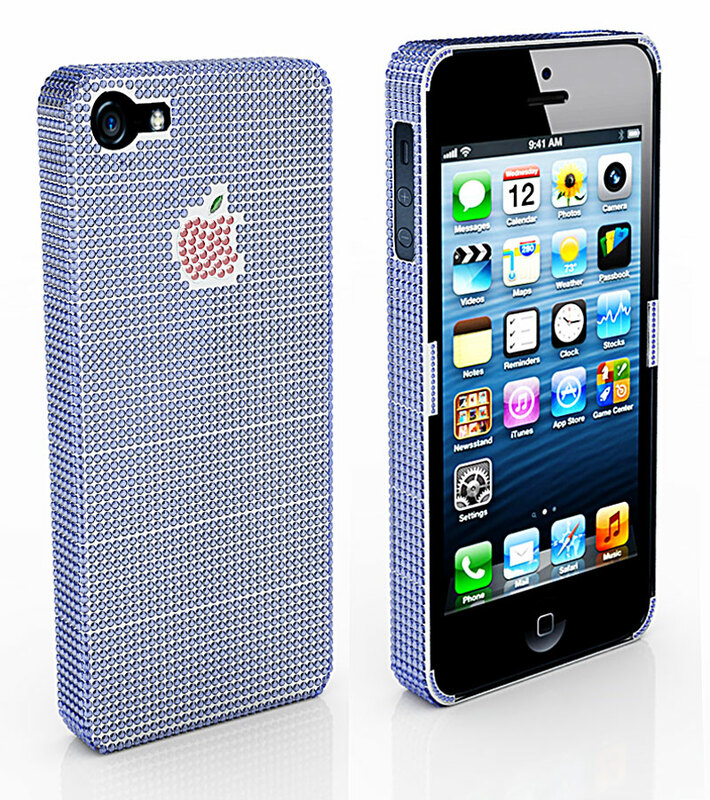 Have a long good look at what luxury is all about – an iPhone 5 case that uses 18k white gold as the base along with 2830 Ceylon blue sapphires weighing 169.8 carats of total gem weight set in it. Then the designers have used 38 rubies of 2.28 carats for the Apple logo and one green marquise-cut sapphire for the Apple’s leaf. 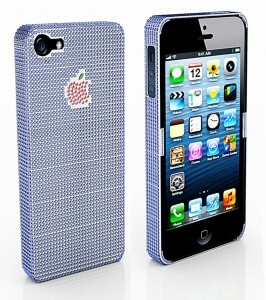 The price of the case itself is pegged at close to USD100, 000! 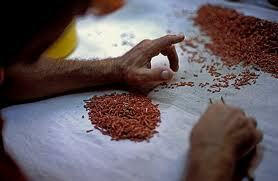 Comments Genuine natural coral is a hard to find commodity today. Not just because of rarity but also because fakes and synthetics abound In a market steeped in desire to make a fast buck at any cost. 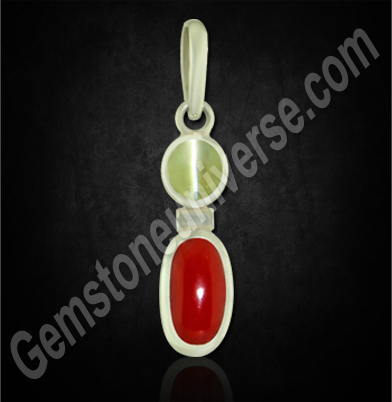 If you do intend to implement planetary gem therapy, kindly make sure that you are purchasing natural, organic jyotish quality red coral. 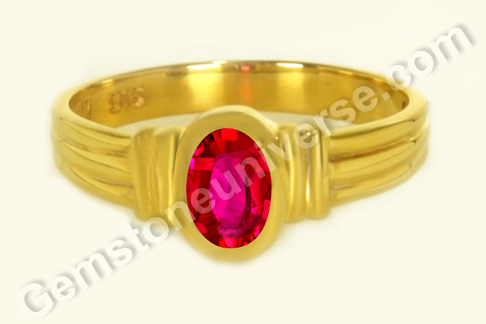 Featured today is a fantastic natural and organic Italian red coral of an enviable weight of 6.81 carat set in 22 carat gold as a Mars talisman ring. The oval cabochon red coral is a ruddy Mediterranean ox blood color. 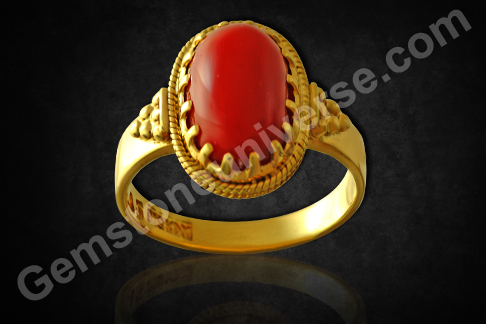 Natural red coral also known as praval/ moonga/ vidrum is an opaque gemstone of organic origin. 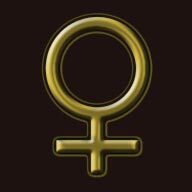 It is the jyotish rashi ratna for the zodiac signs of Aries / Mesha and Scorpio/ Vrishchika. 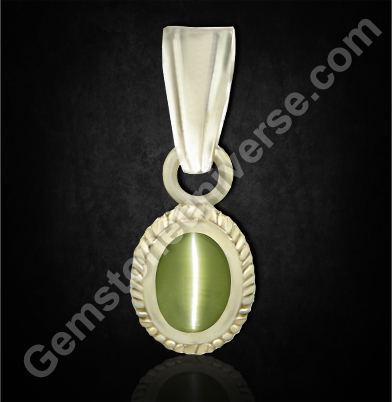 It is the gemstone of planet Mars/ mangal/ kuja/ angaraka and is used in a talisman to harness its vibrant energies full of vitality and life force. 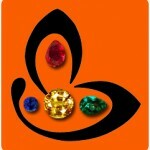 It is a gem widely known to protect from dangers and evil eye, restore strength and vitality and remove fear. 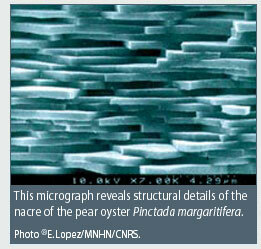 Italy was and remains of the largest hubs of coral trade as well as craftsmanship. The Jews of Italy at one point were masters of coral work. As they kept being displaced, the coral capital of the world shifted with them – from Trapani to Genoa, Livorno and Marseille. The Jews from Italy exported Coral mainly to India and Russia for ritualistic and metaphysical use of precious Red coral. Featured today is a premium natural treatment free white sapphire/ colorless sapphire from Srilanka of 3.64 carats. 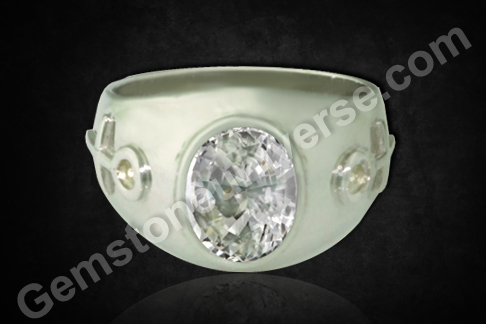 The oval shaped gem has been set in white gold as a Venus talisman ring. The premium white sapphire is a top quality flawless gem with excellent clarity and lustre. 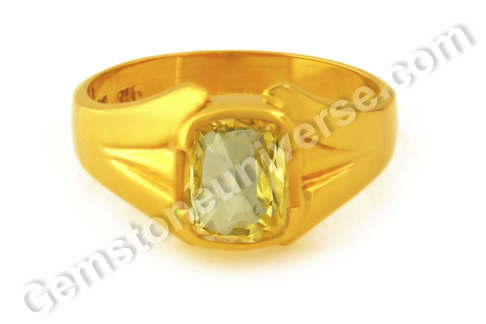 The natural white sapphire ring has the symbol of Venus/ Shukra standing in relief on the shanks. 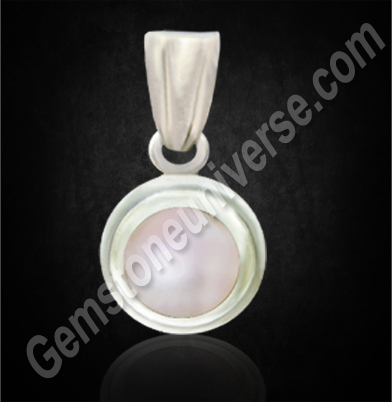 White sapphire also known as safed pukhraj / naram vajramani is the gemstone of Venus / shukra and is the jyotish rashi ratna for the zodiac signs of Taurus/ Vrishabha and Libra/ Tula. White sapphire is colorless corundum. 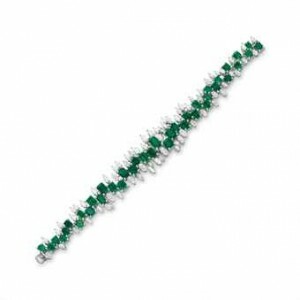 A white sapphire being a colorless gem requires to be cut and faceted masterfully. 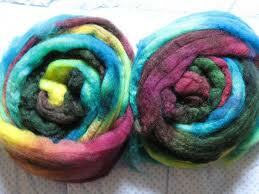 In the absence of any specific color, bringing out scintilla and sparkle by play of light becomes still trickier. And since its crystal structure is unlike diamond, the task of bringing out its inherent potential as the glorious gem of Venus is tougher. One must be very careful when purchasing a white sapphire as it is an extremely rare gem and will come at a premium. Insist on certification to ascertain origin as well as authenticity of gem. 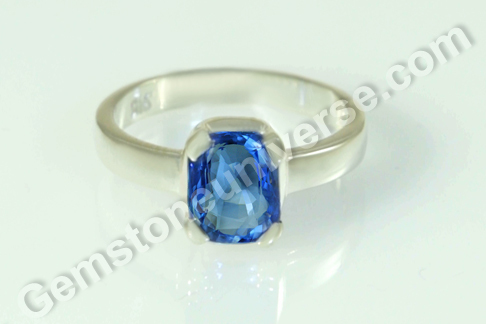 Featured today is a fine gemstone – a natural unheated blue sapphire from Srilanka. 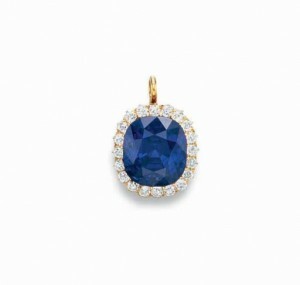 The treatment free natural blue sapphire is a stunner, a richly hued gem with a good jyotish weight of 3.01 carats. The cushion cut blue sapphire is a deep royal blue in color uniformly spread. 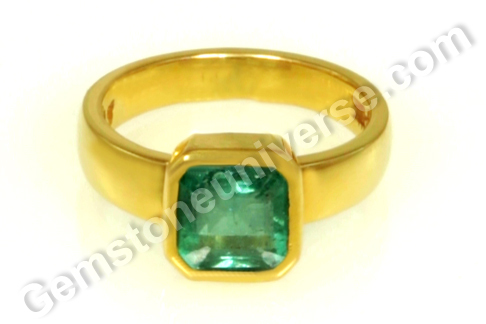 The gem has excellent clarity and superb lustre. And well when you see it, the thought does cross your mind – there’s something mysterious, magnetic and mystical about this gem that you cannot put a finger on! Natural blue sapphire or the neelam gemstone is the gemstone of Lord Saturn/ Shani and is used in a talisman to harness the planetary energies of this powerful planet. 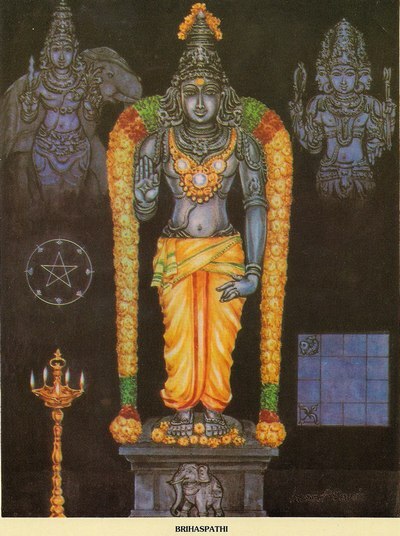 It is the jyotish rashi ratna for the zodiac signs of Capricorn (makar) and Aquarius (Kumbha) – the signs ruled by Saturn. The blue sapphire gemstone has such an intense transformative energy that it tends to show results of planetary gem therapy very fast. Feast your eyes on Natural, non-enhanced sapphire from Kashmir of approximately 22.66 carats – The Hill Sapphire, within an old European-cut diamond surround, mounted in gold. It sold for an astounding but truly well deserved price of $ 3,064,000 at a Christies auction.